low, etc." 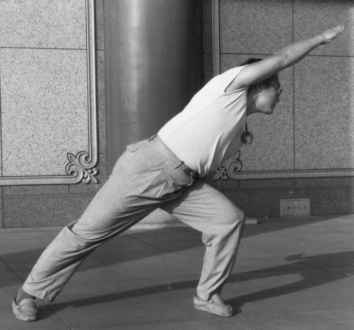 The first change, called "lower piercing palm" (Tf* -xia chaun zhang - see photo above) is a simple change used to move qi while changing directions. The movement is from high to low and then back to high again. and, as the name suggests, consists of four movements. These movements are: The "green dragon turns its head," also called the "green dragon sweeps its tail," "the python turns its body," "the black bear stretches its claws," and the "white snake winds its body." He Jin Han says that these four movements form a complete transition and change the body from any situation to another safely and fluidly. Each of the eight mother palms is related to one of the eight trigrams and, as we have discussed previously, has a direct relationship to a part of the body. Obtaining an experiential feeling for the energy of the palm and its relationship to the body is an important part of understanding the ba mu zhang. When walking the circle, Gong's students step utilizing a heel-toe rolling step in a low stance. As the student steps, the stepping foot is picked up to about knee height. This high stepping method is utilized while maintaining a low stance so that the practitioner will develop strong legs, stability in movement, and good balance. Later the student will not lift the foot so high when stepping but will continue using the heel-toe step. This step, which is sometimes called the "lion step," is very characteristic of the Yin Fu style of Ba Gua. One interesting note is that all of the palm names as depicted on the chart are identical to the names of the eight mother palms which are practiced by Xie Pei Qi (nr^^f*) in Beijing (see Pa Kua Chang Journal Vol 4, No. 1), however, except for the Qian Gua, the postures are all different. 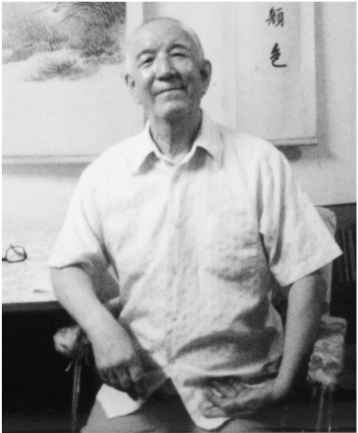 Xie Pei Qi's teacher Men Bao Zhen (Hand Gong Bao Tian were classmates under Yin Fu. Ba Zhang Quart (^ % - In the ba mu zhang the eight postures are not moving, but are held static. When the practitioner begins to practice the linear form ba zhang quan (also called ba gua zhang - ^^h he will begin to execute changing movements between these postures and become aware of the relationships the postures and changing movements from one posture to the next have with each other. In other words, in this form the postures which were studied in the ba mu zhang now begin to flow together in a form sequence in the ba zhang quan practice. This set teaches the practitioner to form a connection between each of the eight holding palms (ba mu zhang). The eight palms change their static appearance in this linear form because the ba zhang quan is the dynamic feature of the eight palms. The emphasis is on the flow of qi while practicing these movements. Gong Bao Tian says that it is important that the practitioner does not confuse the qi and the li - strength) when changing the palms. This form, and the other linear forms of Gong Bao Tian's Ba Gua system, have the "flavor" of Lohan Shaolin (W- This flavor in Ba Gua linear forms movements is very characteristic of all branches of Yin Fu Ba Gua. When Gong Bao Zhai's senior student, He Jin Han, was asked if there was a Lohan Shaolin influence in Yin Fu's Ba Gua, he relied, "Lohan Shaolin is in Ba Gua." Although all of the straight-line forms in Gong Bao Zhai's system have a strong Lohan Shaolin flavor, when these same forms are later combined with the eight mother palms and practiced on the circle, the Lohan flavor almost seems to disappear. The circular walking, kuo bu ifr) and bai bu footwork, turning and twisting body movements and directional changes which are executed on the circle give the otherwise Shaolin style movements the Ba Gua characteristics. Witnessing He Jin Han practice one of the straight-line forms on the circle in combination with the eight holding palms gives one insight into the development of Ba Gua. 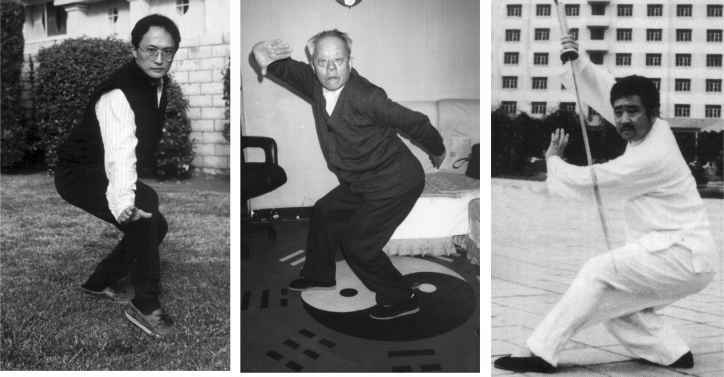 It is easy to see how Dong Hai Chuan combined his Shaolin arts with the Daoist philosophy and circle walking practice to form the art of Ba Gua Zhang. He Jin Han said that Ba Gua's originator chose to use the movements of Lohan, and other schools of martial arts, which appropriately expressed the philosophy of ba gua to create the Ba Gua Quan system. Liang Yi The Hang yi is another linear form. The movements and emphasis of this form give one a very clear understanding of the connection between the Ba Gua philosophy and physical practice. In philosophy Hang yi is derived from the division of the one (tai ji) into two (the yin yi and the yang yi). In the boxing these two aspects are represented by left/right, up/down, and inside/outside. Consequently the movements of this form teach the student how to focus and move left and right, up and down, and relate inside and outside. Si Xiang - The si xiang is also a linear form. In philosophy the si xiang is derived from the Hang yi. Whereas the Hang yi symbology is a representation of the two distinct opposites, yin and yang, the symbology of the si xiang forms the simplest combination of the yin yi and yang yi. Si xiang is the combination of two to make four. In the martial art form the "four" are represented by the two arms and two legs. Therefore the movements and sequences of the si xiang form are specifically designed to train the practitioner to use the arms and legs effectively in Ba Gua. He Jin Han, states that most people think that the arm starts at the shoulder, however, the long, flexible movements and the intention of this form teach the student to think about the arm originating from the scapula. Ba Gua Pao Chui ^b - The ba gua pao chui set consists of eight sections (a total of 64 movements) and is derived from Lohan Shaolin. He Jin Han, states that the pao chui form is the most important linear form in the system because within it can be found the principles and movements of the Hang yi, si xiang, and ba zhang quan forms and it contains the changes of the eight palms. This set is performed in the formation of the ba gua diagram (eight directions). It is an important form in this system as it helps develop the body and fighting skill. Ba Gong Quan The ba gong quan practice consists of eight linear forms. Each of the eight forms comes from the corresponding mother palm and relate to the same gua. In this practice each of the eight palms has its own separate linear form so that the practitioner can develop the feeling and energy of each of the eight palms. Therefore, in each of these eight sets the characteristics of one of the eight palms is emphasized. Weapons - In Gong Bao Zhai's Ba Gua system there are four primary weapons. Two, the sword and the spear, are related to the "internal" side of the practice and two, the staff and saber, are related to the "external" side of the practice. Students start learning weapons only after they demonstrate that they can use their body effectively. This means that their body can follow the movements of the bare hand forms naturally and correctly no matter how fast, slow, big, or small. The spear and the staff are long weapons and the saber and sword are short weapons. Students will typically start with the saber and staff as they are simple compared to the sword and spear. The sword is practiced last because it is the most complex. He Jin Han says that each form in this Ba Gua system "tells the practitioner something." It is the practitioner's job to practice the form and "read it carefully" to find out exactly what the form has to teach. These forms are organized so that they convey the principles of the Ba Gua. The principles that the forms try to teach all relate to how the human body should work at its optimum. He states, "The value of traditional forms is that they have something to say beyond movements for fighting. There is something each form has to teach. This is why each traditional system of martial arts has so many forms. They all have a different principle or idea to convey." In executing the forms, the practitioner should try to understand how the internal body is associated with each of the external movements. When teaching students, Gong Bao Zhai is very particular about the students executing the postures and movements of the form exactly. If the postural alignments and the transitions are not correct, then the student will not be able to understand the principle and meaning of the forms. He Jin Han demonstrates the "sideways palm" posture which is part of the "white snake winding its body" movement over his head. In another photo the old master's son was holding a similar posture and in still another photo one of the son's students was holding a similar posture. He Jin Han said, "Look at the alignments of the old man. All of his body alignments are such that the energy in his posture is in a direct line with the balance point of the sword." With that in mind we looked at the postures of the old man's son and the son's student. With each generation the alignment of the practitioner's body in relationship with the sword was farther away from the correct path. He Jin Han said that if the alignment and energy movement of a posture are not right, the correct power will not be present. While other martial artists might study the human body in relation to how to effectively hurt the opponent, Gong Bao Zhai said that Ba Gua practitioners are more concerned with what is happening inside their own bodies. Different external movements effect the body in different ways internally and the practitioner should strive to understand the internal effects of external movements and vice-versa. 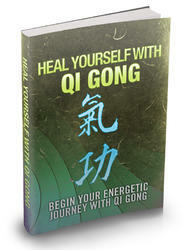 Additionally, Gong says that every movement produces two forces. One force is expressed outside of the body and the other is expressed inside the body. The force which goes out during a fight could have a damaging effect inside if the body is not aligned properly or the force is directed improperly. This is one reason why the Ba Gua practitioner should be very concerned about concentrating on correct postures and alignment early in the training process. If the movements and postures are not practiced correctly from the beginning, the body may be damaged later.